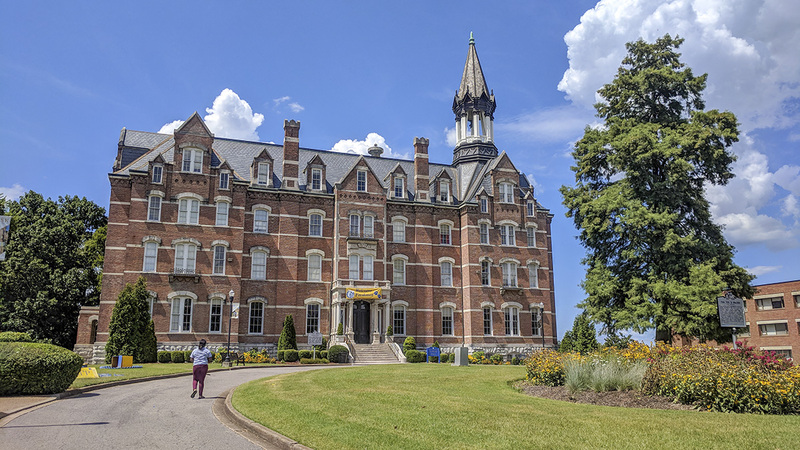 Fisk University was established in 1865 as the Fisk Free Colored School before being incorporated as an institution of higher learning in 1867. 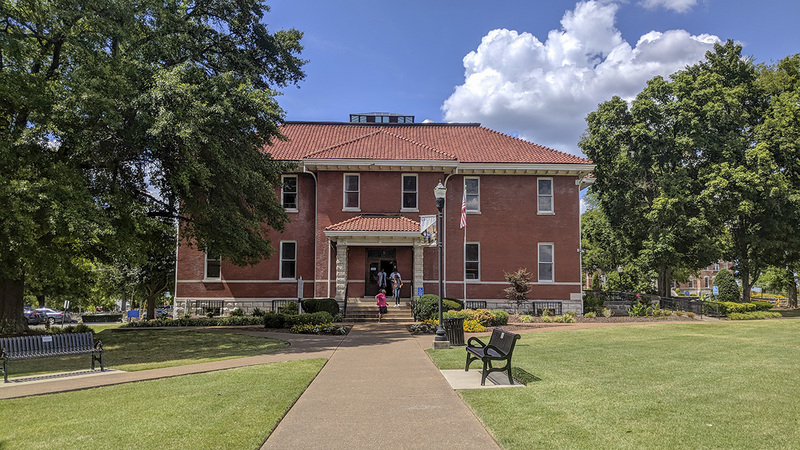 Originally located in what were once Union barracks near the present Union Station, the university relocated to the former site of Fort Gillem, a military base that it purchased in 1876. 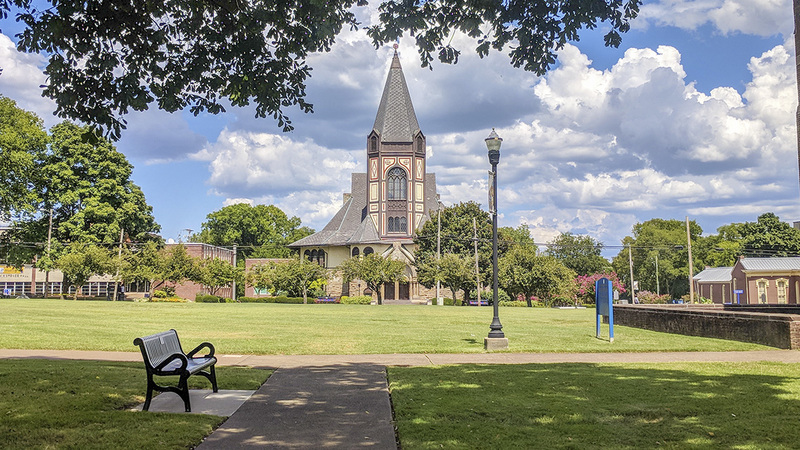 The first academic structures on the 25-acre campus were Jubilee Hall (1876), the music annex (1876), and the memorial chapel (1892). Expansion to the south and east during the twentieth century created today’s 40-acre campus. 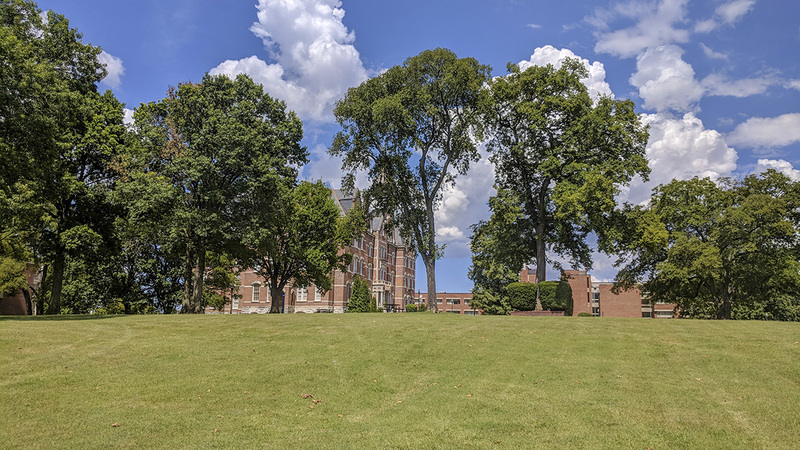 In the 1930s the university hired landscape architect David Williston and the Olmsted Brothers firm to develop a master plan for the campus, which resulted in a Beaux-Arts landscape. 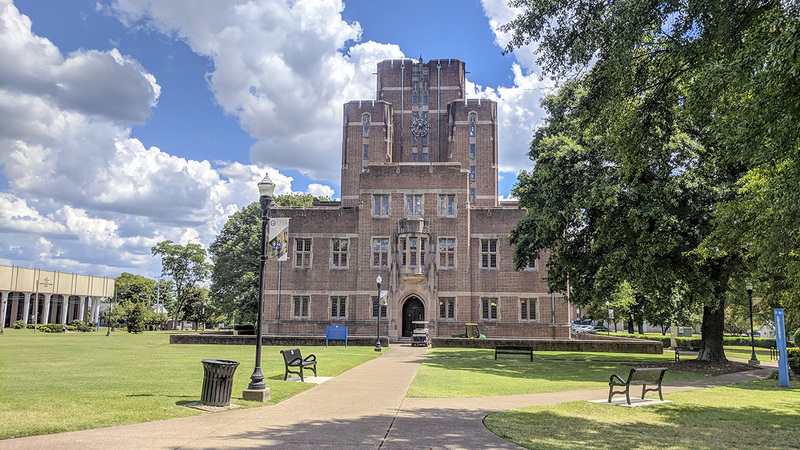 Located two miles north of downtown Nashville, the university is bounded by Jefferson Street to the north and Jackson and Herman streets to the south. The axial relationships of the campus and its buildings are established by the orthogonal street grid, with the flagship Jubilee Hall perched on the crest of an incline. 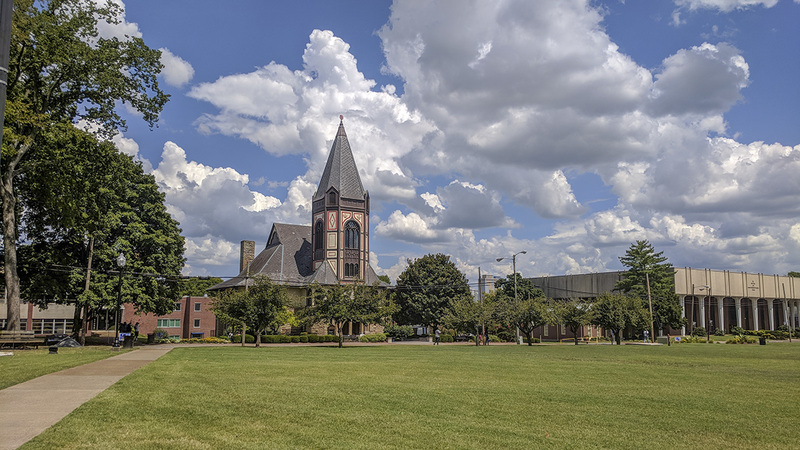 The landscape consists of six lawns oriented around Seventeenth Avenue, which forms the central spine of the campus, intersecting with Jefferson, Philip, and Herman Streets before terminating in a tear-drop-shaped drive in front of Jubilee Hall. The Harry Elson Memorial Gate, located north of the intersection of Jackson Street and Seventeenth Avenue, marks the institution’s formal entrance. Cement paths are laid out across many of the lawns in asymmetric patterns, occasionally bordered by irregularly shaped garden beds. Many trees, including cypress, dogwoods, and cherry, are interspersed across the grounds. 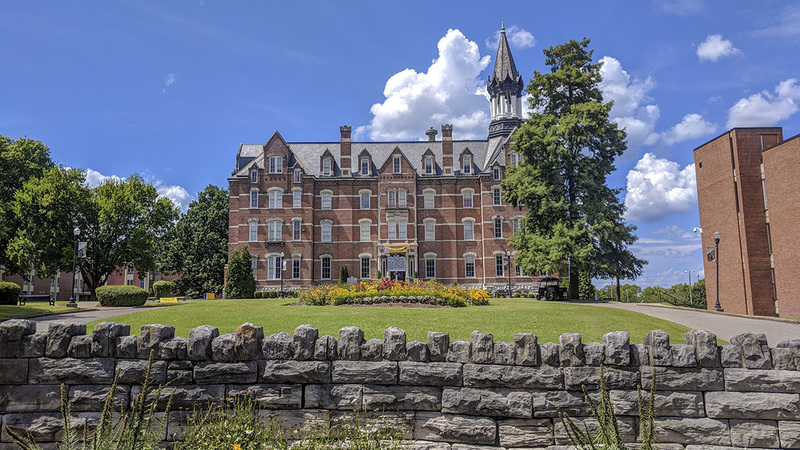 A limestone wall, constructed in 1873, borders the campus between Jefferson Street and Meharry Boulevard west of Seventeenth Avenue. 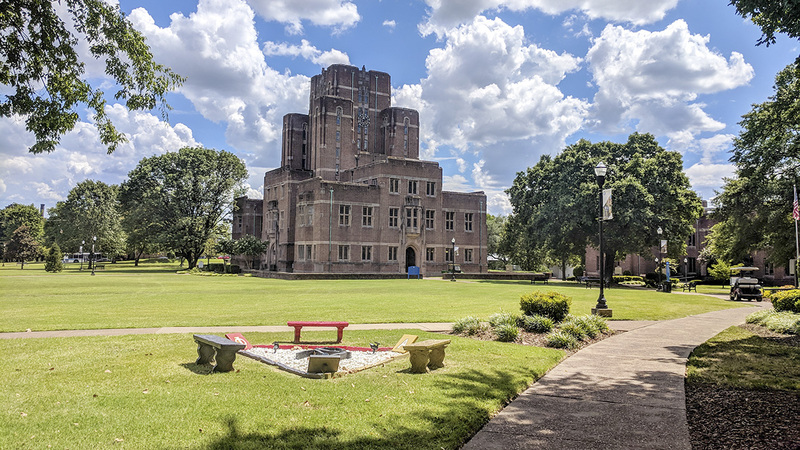 Fisk University is part of the U.S. Civil Rights Trail, and the Fisk University Historic District was added to the National Register of Historic Places in 1978.